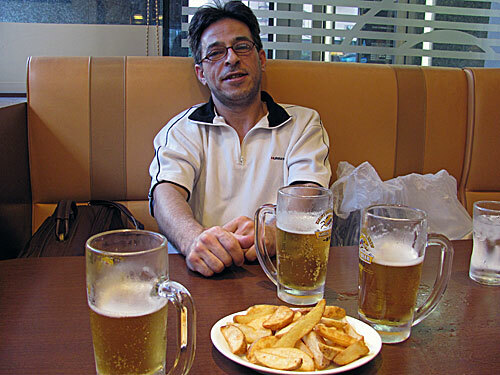 August 4, 2010: Jamal Saberi is Free! Friends – once again we see that when we stand up together and make our voices heard, we can achieve justice and build the free and equal world that we want to live in. 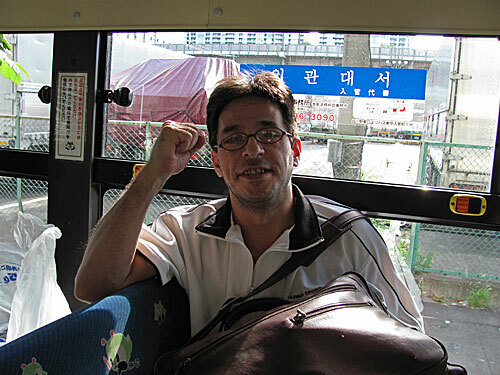 Thanks to the hard work of so many people, Jamal Saberi — who had been at risk of deportation from Japan to Iran, where he faced certain execution — is free. Mission Free Iran wants to extend our deepest gratitude to everyone who supported our efforts to get Jamal free, especially @JoanneMichele, who traveled for hours weekend after weekend to attend our incessant protests in front of the Japanese Embassy; @MrZand, who could always be counted on, week after week, to stand in front of Japan and condemn their actions, and who also took beautiful photographs of our demonstrations; @Shhh28 and @KevScottDC, who made unforgettable cameo appearances at our demonstrations; Majid Azari and Saeed Salehinia, who never, ever, left us standing alone on Massachusetts Avenue; a certain person who shall remain nameless but who always made sure that we had plenty of signs for our demonstrations; and several other people who won’t be mentioned for security reasons, but who should know that they are recognized. @Shariatmadari provided strong graphics to represent our demands, both in the flesh and online. And the entire Facebook and Twitter communities who supported Mission Free Iran’s efforts on behalf of Jamal Saberi, spread the word about his case, and encouraged the world to write letters on his behalf. We would also like to thank the Free Jamal! campaign, and especially Farshad Hosseini and Patty Debonitas, for their hard work. Congratulations! Finally I would like to extend my personal gratitude to MFI co-founder Ahmad Fatemi who, although not able to be with us in the streets, never left our side for one minute throughout the campaign to free Jamal, and in so doing, fundamentally helped to set a humane standard for the rest of the world to follow. Jamal – our very warmest wishes to you. Your freedom means everything.